Humanitas is one of the main social services and community building organizations of the Netherlands. Humanitas is a non-profit association which aims to support people who, for a range of different reasons, temporarily cannot manage on their own. The organization was founded on May 31, 1945 directly after the Second World War to provide support to the impoverished population of the Netherlands, regardless background. It has since grown to an organization of 85 local chapters, divided over 5 districts all over the Netherlands. The National Office is based in Amsterdam. Annually Humanitas supports more than 56.000 people who are in need of a helping hand. Humanitas offers a broad spectrum of activities, ranging from buddy projects for immigrants to chat services addressing loneliness, and from parenting support to support groups for people dealing with grief and loss. The Humanitas services are free of charge and available to anyone, irrespective of age, ethnicity, lifestyle and sexual orientation. The core of Humanitas’ services are provided by volunteers. Some 15.000 well trained volunteers are active in more than 600 projects. They are supported by a professional staff of just over 300 people. Each volunteer receives a comprehensive training as well as continuous personal guidance. The training and educational services are organized by the Humanitas Academy and realized on a local level. The governance of the association is in the hands of the general assembly and the central board. Managing director is Eva Scholte, who reports to the central board. Humanitas advocates humanist values such as: equality (of volunteer and client), responsibility (for yourself and others in society) and independence (the activities are geared towards ensuring that the clients can once more take control of their lives). Various local and national government grants enable the volunteers to do their work, as do the substantial contributions from the charity lotteries in the Netherlands, such as Vriendenloterij and Nationale Postcode Loterij. Additional funding comes from members, private (charity) foundations and other donors. Humanitas is a member of several social organizations such as the Humanistische Alliantie (Humanist Alliance), Solidar and Volonteurope (European umbrella organizations of civil society organizations), the Sociale Alliantie (against poverty and social exclusion) and Coalitie Erbij (national coalition against loneliness). Contact: André Hudepohl, Policy Advisor to Managing Director Eva Scholte. 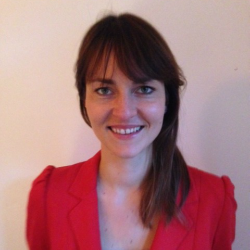 Rebecca Gerritse is head of Programmes at Humanitas, the Netherlands. She has worked for Humanitas since 2013, starting as a project manager for three national projects concerning poverty and debt issues. In early 2016 she started as Head of the department responsible for all national projects and programmes within Humanitas. Humanitas has 84 local departments that run local activities. Her focus is on developing and improving the quality and impact of Humanitas' activities nationwide and support to local departments in the challenges they face. One of the latest efforts was the development of an impact measurement tool for all activities. This tool focusses directly on the people Humanitas supports and the impact on them. "However.. ‘the proof of the pudding is in the eating’. Next year we will be able to see the first results."